Used oil and coolant disposal tanks – no need to take anything to the recycler! Retail Store – Get parts delivered when purchased through our partners NAPA, Advance Auto Parts, Pep Boys, AutoZone and O’Reilly Auto Parts. Lounge/Classroom – Hang out, watch TV, root for your favorite team, check out a ‘garage’ segment on ‘All Girls Garage.’ Learn something or just get away from your project for a bit. If using the contact form we should reply to your request (so use a monitored email address) to let you know whether or not there is availability. We will do our best to ensure there is a bay ready and waiting for you at the time you request. What this means is this: We don’t want to rush our customers into trying to get out of a bay because someone has it reserved behind them and we don’t want to put off customers who may have reserved a bay later in the day only to be pushed back because a repair went awry earlier and caused an overrun in the length of time to finish. All gearheads know things go right and things go wrong. Sometimes things go VERY wrong and all that we ask for is some understanding when that happens and know that we’ll do our best to get you in as soon as we can. Unlike some places, we’re here to help and to do our best to make sure your project is a success – and we’re not going to charge you extra for us to lend a hand, to get our hands dirty, to take a moment to teach. Beyond that, if you’re not totally sure of the steps that need to be taken, what wire goes where, or the torque specs required for a repair? 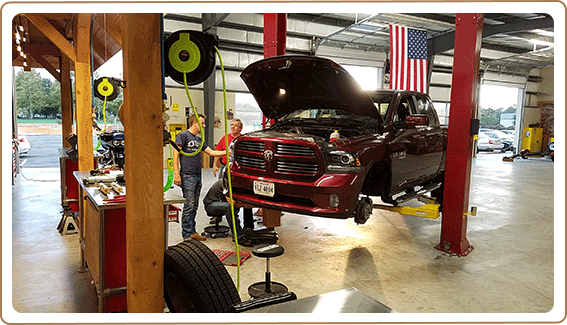 This DIY garage has you covered with knowledgeable shop managers who’ve been mechanics for 20+ years as well as a variety of online diagnostic and repair information portals, providing full OEM repair, maintenance and real-world, experience-based information in easy-to-use formats. We have a couple of ruggedized laptops for use at your workbench that can also be used to look up YouTube videos and log in to car related forums for additional guidance. NEED A TOOL NOT IN THE TOOL CHEST? We’re not in the business of nickel and dime-ing people to death. Need something not found in the Tool Chest? 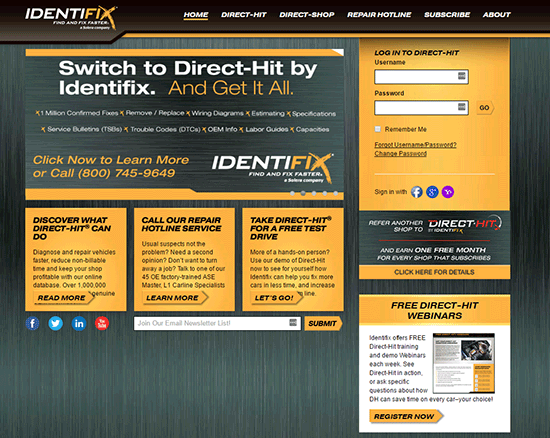 Inquire at the Tool Crib and see if we have what you need. The Tool Crib is where we keep tools that aren’t frequently needed, keeping only a few on-hand for occasional use (an example of this would be a torque wrench). 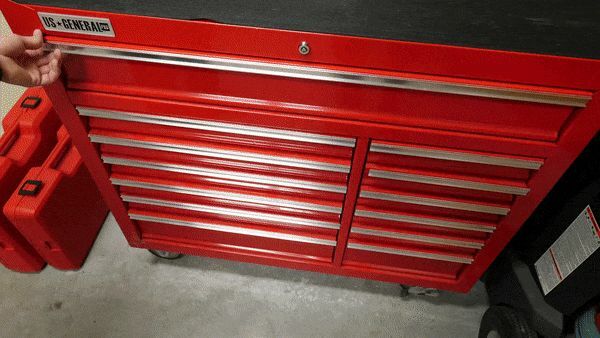 There’s no extra charge to use a Tool Crib tool, just bring one of your Bay Tokens (one per tool needed) to the Tool Crib in exchange for one of the tools there; when finished, return the tool and receive your Bay Token in return. If we don’t have a tool in the Tool Crib that you think we’ve overlooked, please let us know and if we agree we’ll get it ordered! If we’re not quite sure it’s something that makes sense, we’ll put it on the “Things to get” list – if we get multiple requests for it, then we’ll give it a harder look. If it’s something we don’t have and you absolutely need it, let us know (in advance if possible). We may be able to borrow or purchase it from one of our partners. 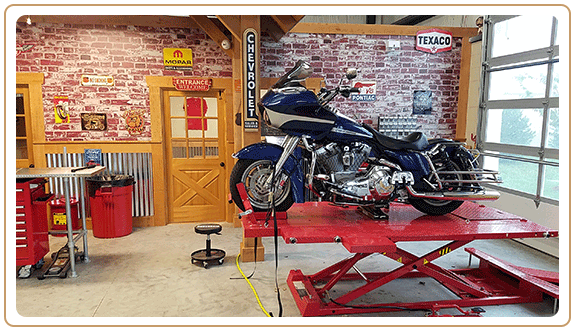 What goes great with a DIY garage? DIY knowledge! Contact us about putting together a workshop for you and a few friends and we can set up a two to three hour workshop to go over a few subjects, or if you’ve got ideas for your own, we can talk about and consider that too! While we don’t have a car wash on-site, you can certainly bring your vehicles in to one of our bays for a good detailing or water-less car wash.